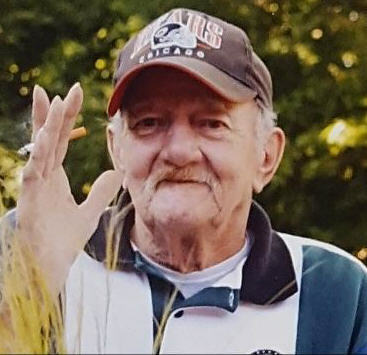 John E. Anderson, 81 of Pleasant Prairie, passed away at Hospice Alliance, Inc., Hospice House on Friday, February 8, 2019. Born in Kenosha on May 24, 1937, he was the youngest of 13 siblings of the late Arthur and Anna (Bauer) Anderson. John enlisted in Kenosha to serve in the US Navy on July 30, 1956. He was a proud Navy man and visited many ports. His honorable discharge took place on January 10, 1963. On June 13, 1959 he married Joan Bose. They shared almost 50 years together; sadly she passed away on December 7, 2008. He was a great father and husband and will be sadly missed by his children, Lisa (Andrew) Schiller, Brian (Evie) Anderson, Mike Anderson and Kevin Anderson. John was Kevin’s best friend. He will be missed by his 4 grandchildren, Dawn Schiller, Ryan Anderson, Lisa (David) Jones and Alex Anderson; his 2 great grandchildren, Aaron and Robbie and his siblings, Kenneth Anderson and Rosie Anderson. John was supported by many family members and friends including his fishing buddy, Gil Bose and his wife, Marilyn; Margie and Rockie Jurgens; Dave and Anne Willems and Lorraine Bose. He was employed with AMC/Chrysler until his retirement. John was an avid Chicago Cubs and Bears fan. He enjoyed gardening, relaxing in his yard and watching western movies.